We’ve known for a while that a new Costco credit card from Citi would replace the existing TrueEarnings® Card from Costco and American Express. But on Thursday, a sharp-eyed Nerd noticed that the terms of the Costco Anywhere Visa® Card by Citi have been posted on Citi’s website — and they’re much better than we expected. An SEC filing in early 2015 promised that the new card would offer 3% back on gas purchases at Costco and other gas stations (on up to $4,000 spent per year), plus 2% back on travel and restaurants. That made the new card a reasonable competitor for other cash-back cards like the Blue Cash Preferred® Card from American Express. Costco announced more than a year ago that Citi was acquiring the entire portfolio of TrueEarnings® Card from Costco and American Express accounts. But Citi hadn’t been clear about whether it would perform a credit inquiry before sending new cards to existing cardholders. It has now confirmed that it will not pull cardholders’ credit. This is significant because it can ding your credit score slightly when a credit card issuer pulls your credit. Many Costco fans were concerned that their credit would take a hit when the wholesale giant shifted its co-branded credit card from American Express to Citi. The timeline of the shift has also become clearer. If you’ve got a TrueEarnings® Card from Costco and American Express in your wallet, a new Citi card will be mailed to you in May. You can continue to use the American Express version of the card until June 19, 2016 — much later than the March 31 date that had been floated in the past. Is the new Costco Anywhere Visa® Card by Citi worth it? If you spend a lot on gas, restaurants and travel, this card has pretty great rewards. The only question is whether you mind redeeming those rewards at Costco. The Costco card is kind of an anomaly. It isn’t exactly a store credit card in the traditional sense, because you can earn rewards at any store that accepts Visa. But you do have to redeem those rewards at Costco (for merchandise or cash) and maintain your club membership. That means the company is ensuring you’ll be a loyal shopper if you apply for a credit card. All in all, the Nerds are in favor of any card that gives 4% rewards on gas with such a high spending limit. We’re also pretty impressed by the rewards rates on restaurants and travel, especially since there’s no spending cap on those categories. If you’re already a Costco member, you really can’t go wrong with the Costco Anywhere Visa® Card by Citi. And if you’re not a member yet, this card is good enough that you might want to reconsider. 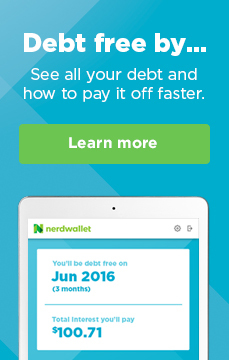 If, however, you’re looking for other possible credit card options, you can check out NerdWallet’s roundup of best credit cards.